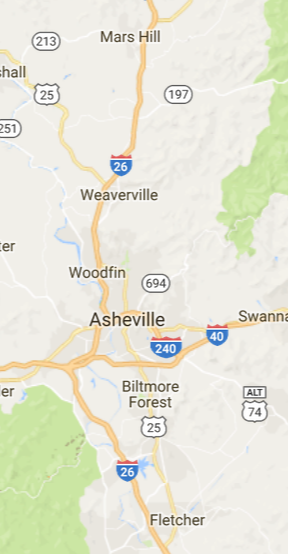 We proudly serve in-town Asheville communities, as well as Weaverville, Mars Hill and Biltmore Forest, with some services also available in Arden and Fletcher. If you don't see your neighborhood here, give us a call! We may know someone in your area.